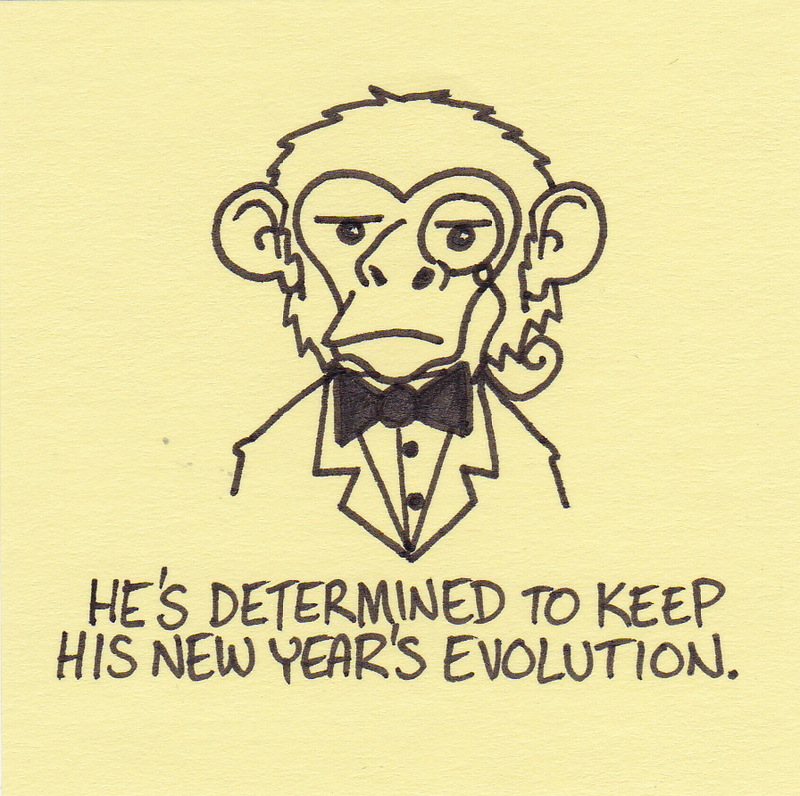 He’s determined to keep his New Year’s evolution. I guess I’ll just have to resolve to keep it up. Happy New Year! When I log into wordpress to update/upload things to this blog, I see a fancy little graph showing how many visitors visit each day. I have noticed that this has shown some steady growth in daily traffic over the past six months. Interesting, but not something I was paying very close attention to. However, this week I looked at the more in depth statistics and found that over 500 people have subscribed to my blog via email or wordpress! 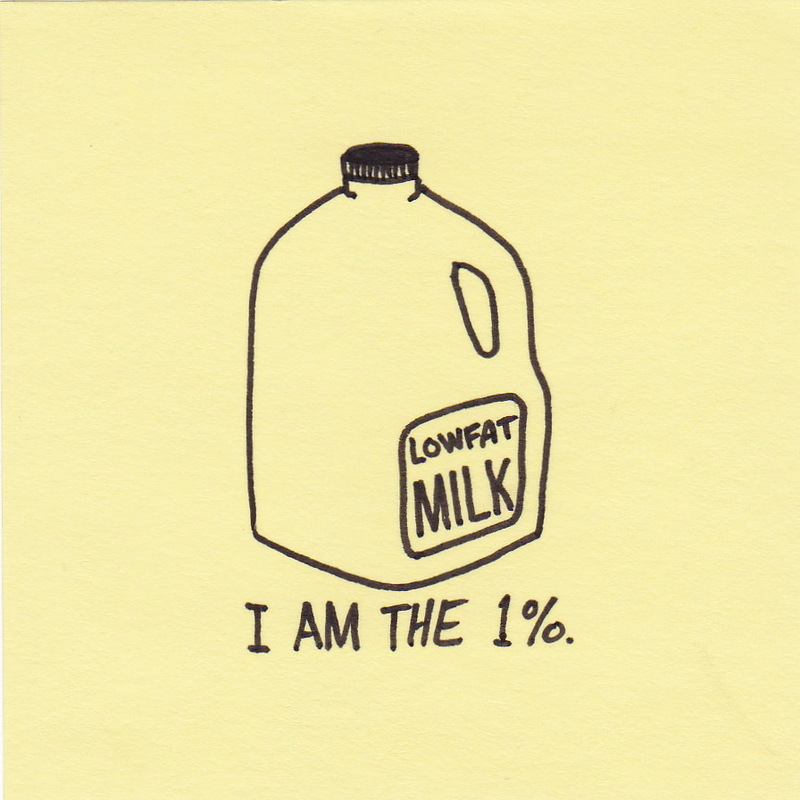 I feel pretty honored that so many folks are interested in my little sticky note sketches! I also feel pretty bad that I noticed this in a week where I only posted one new comic. A thousand (or at least 500) apologies to everyone for slacking off this week! 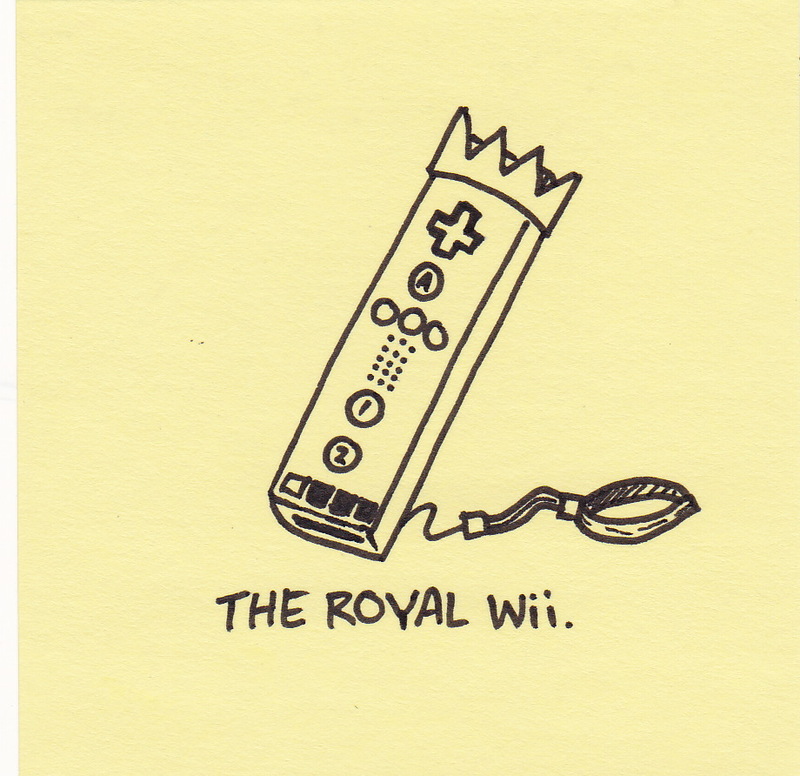 We have a Wii in our house. I want to like it, I really do. But it’s hard to like something that you are terrible at. I can’t seem to wrap my head around the fact that I need to physically move the controller to make the people on the screen move. At first I felt like the proverbial dog trying to learn new tricks. Then my five year-old beat me in some kind of sword-fighting/jousting game. About 20 times in a row. 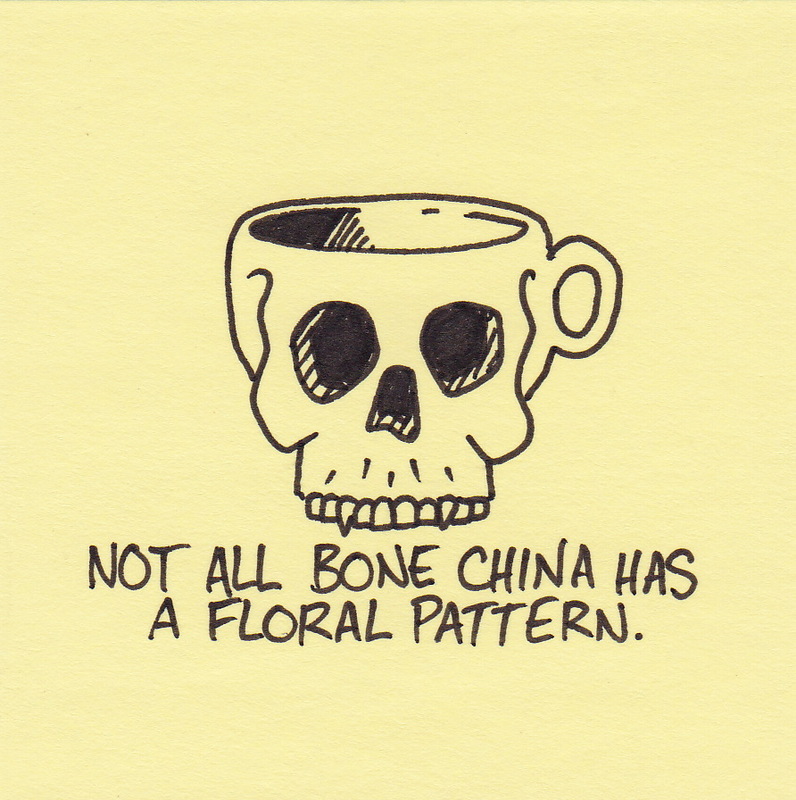 Not all bone china has a floral pattern. It sounds ridiculous, but I swear tea tastes better in a bone china teacup. 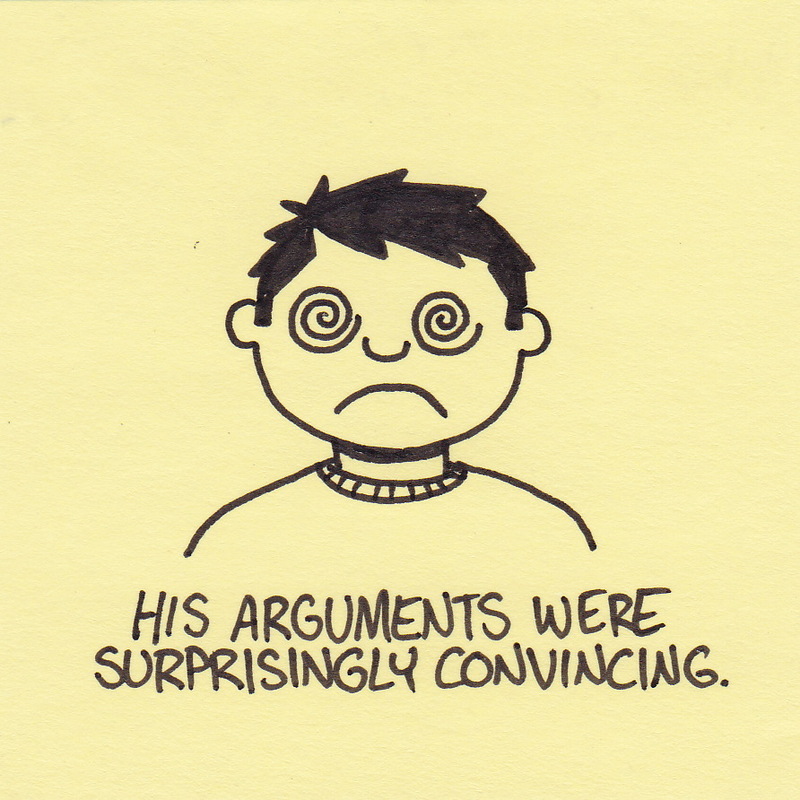 His arguments were surprisingly convincing. My 5 year-old daughter has a Christmas list with only one item – a “princess scooter.” This is not the ideal Christmas gift because: (a) it is winter, (b) we live in Alaska, and (c) winter in Alaska lasts until May. Needless to say, there was no way I was buying that scooter this Christmas. I made a point of sitting down and talking with her about the practicality and usefulness of a scooter when there is a foot of snow on the ground. It was a really great conversation full of lots of heartfelt Daddy/daughter dialogue. I was really impressed at how grown-up she was about the whole thing. Yes indeed, that scooter is going to be a great Christmas gift… wait, what?! You are currently browsing the Inkjot blog archives for December, 2011.